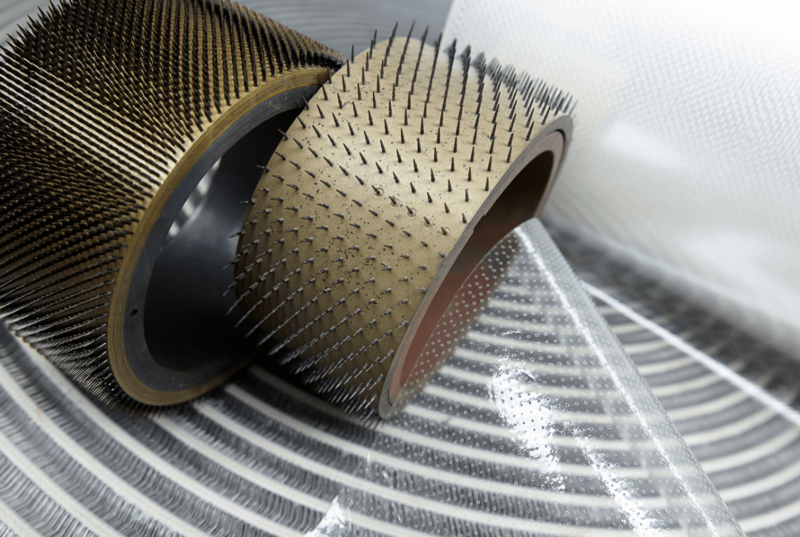 On account of year-on-year investment in perforation technology, Protos has created and acquired a unique expertise in the multi-perforation of flexible packaging films. Not only can we offer micro-perforated packaging films with P1, P8, P30, P160 and P360 hole patterns, punched holes with hole diameters ranging from 6mm to 10mm, we can also vary the hole coverage across the width of the film from 100% coverage to strip perforations in any hole pattern. On account of the combination of micro- and macro-perforations available, we are able to tailor our packaging, whether film reels, bags or sheets and shapes, to suit the exact needs of your products.